Busamed Hillcrest Private Hospital is committed to promoting a safe, cost efficient and quality health care service to all patients. 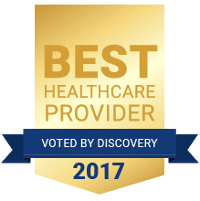 They strive to build and secure an integrated relationship between the staff, medical practitioners, and clients at Busamed Hillcrest Private Hospital. There is commitment to providing excellent care to all customers. Staff and medical professionals at Busamed Hillcrest Private Hospital strive to provide an excellent service to both patients and their families. The facility makes provision for all patient needs. The Busamed Hillcrest Private Hospital building has been designed with the patients’ needs and comfort in mind. The staff and the resident specialists are passionate about patient-centred care, and prioritise their well-being in all decision-making. Busamed Hillcrestt Private Hospital provides a full spectrum of cardiac, surgical, and related services to meet the surgical needs of the Upper Highway communities. Family support and comfort is vital for the return of wellness for all patients. Hospital facilities and modern interiors welcome visitors, and cater to patients. Busamed strives to provide the best care to every patient, every day. Patient stories are the story of the Hospital: they tell that story best. ot anticipated to be ready by March 2018. Do you suffer from Pelvic pain clinic?